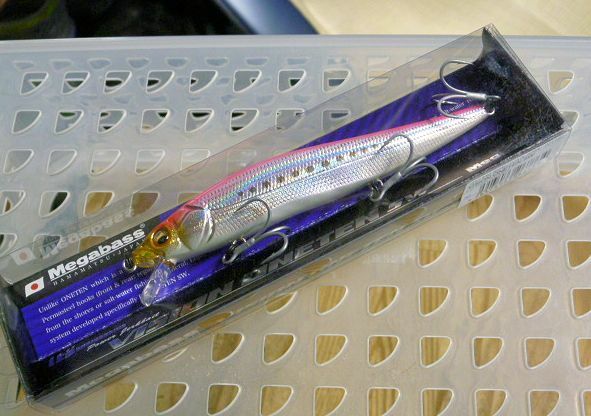 Length: 110.5 mm, Weight: 1/2 oz. 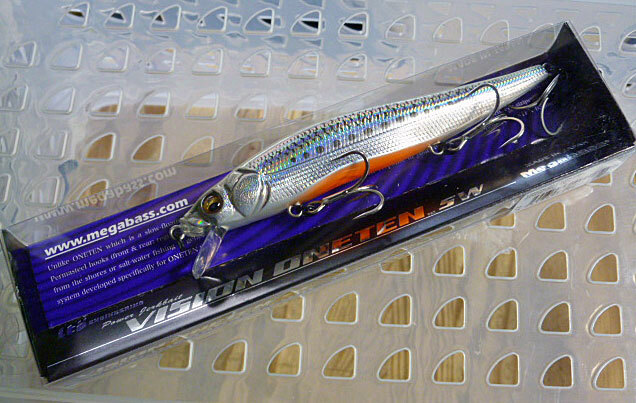 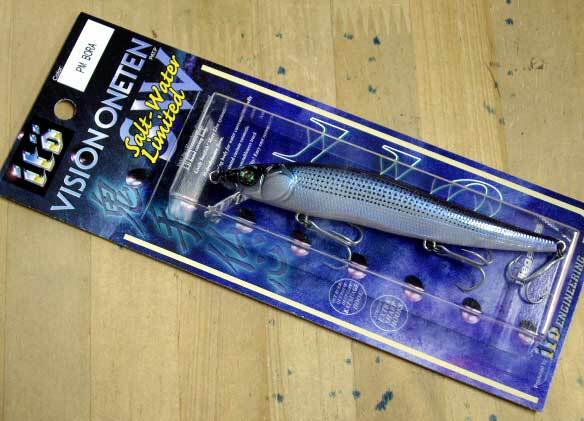 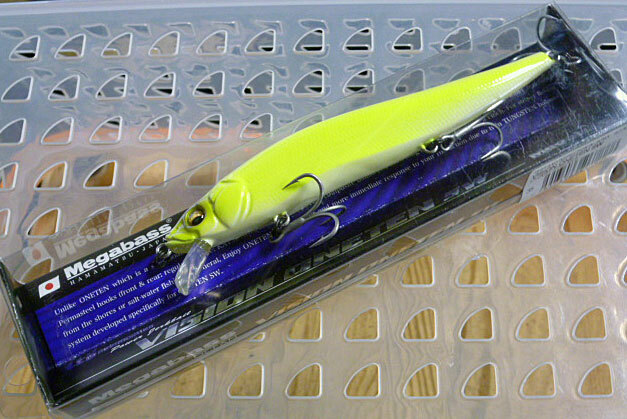 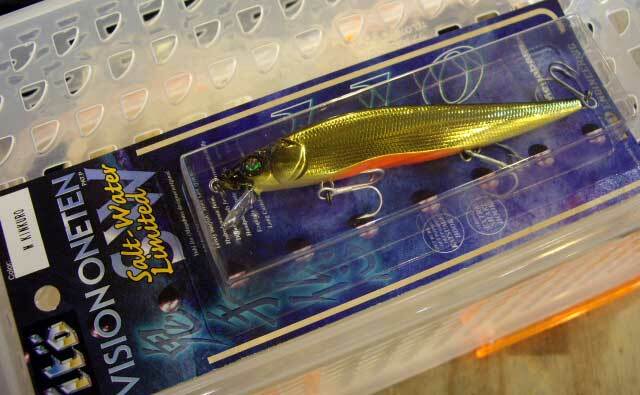 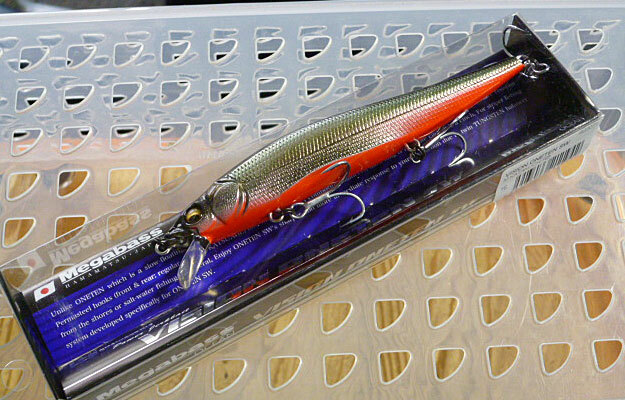 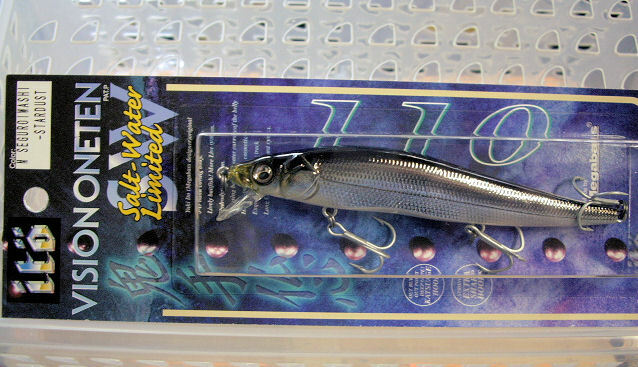 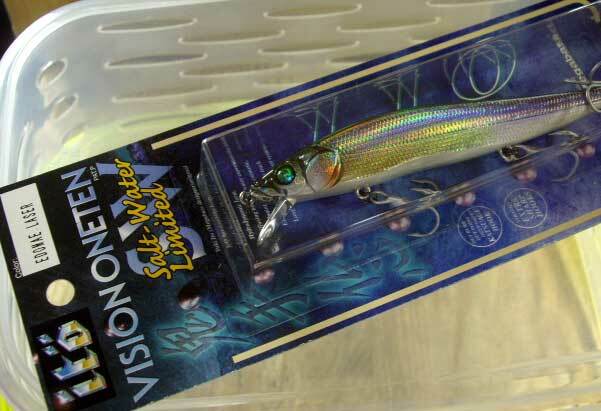 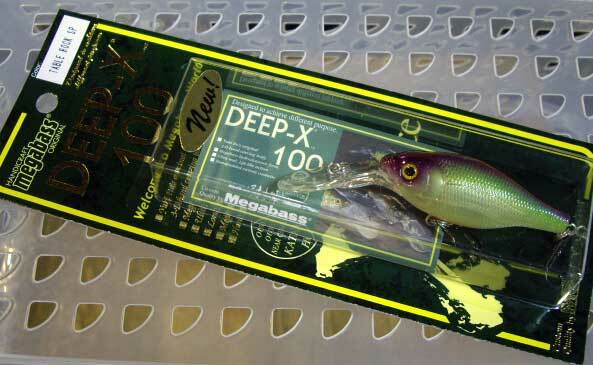 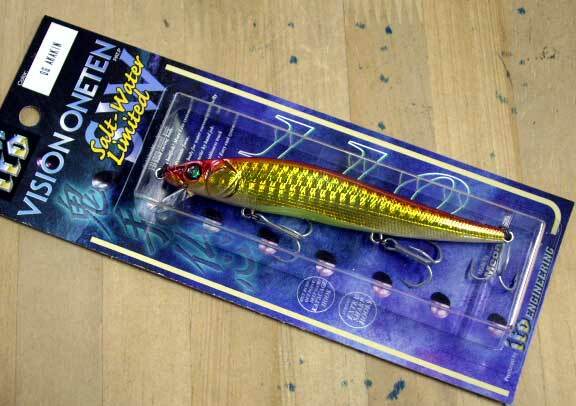 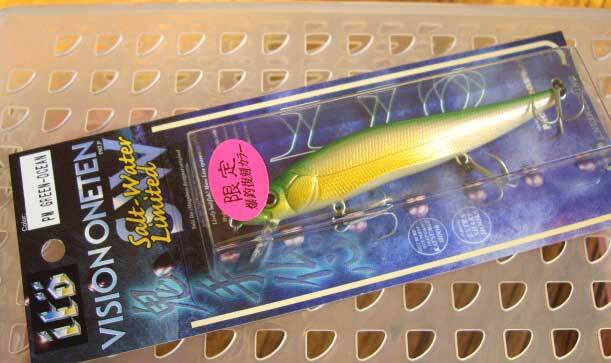 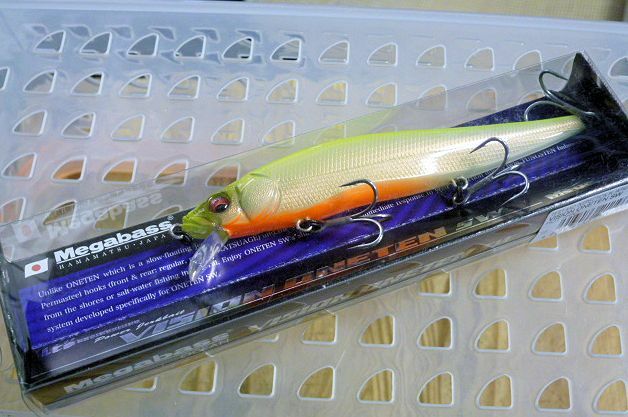 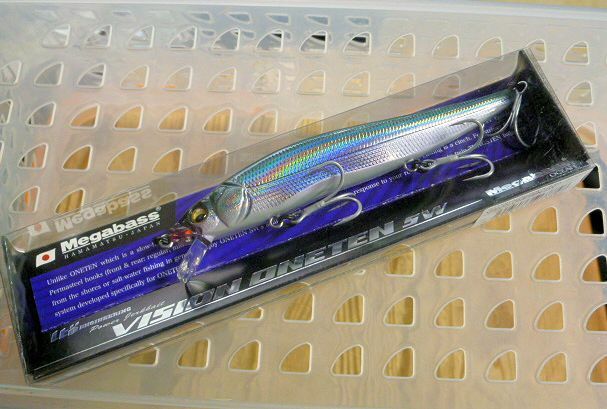 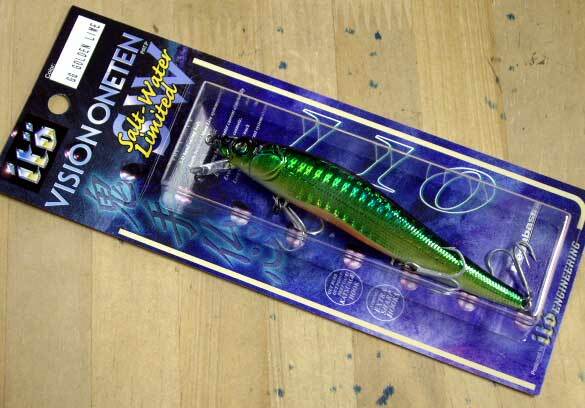 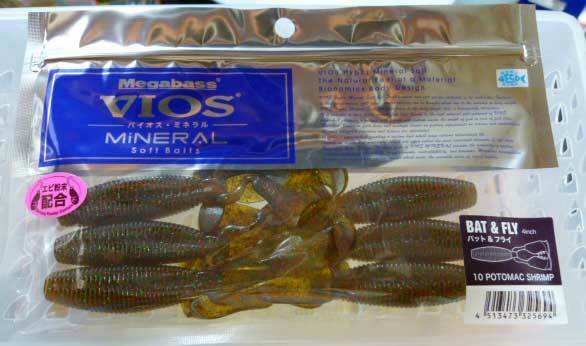 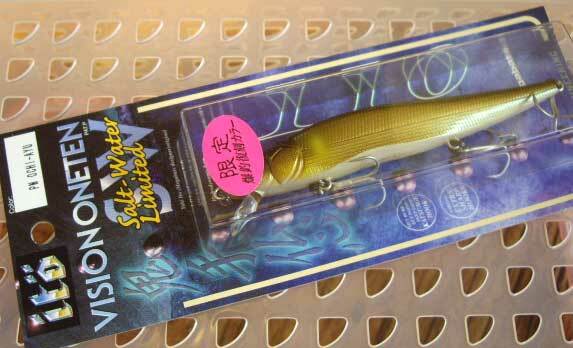 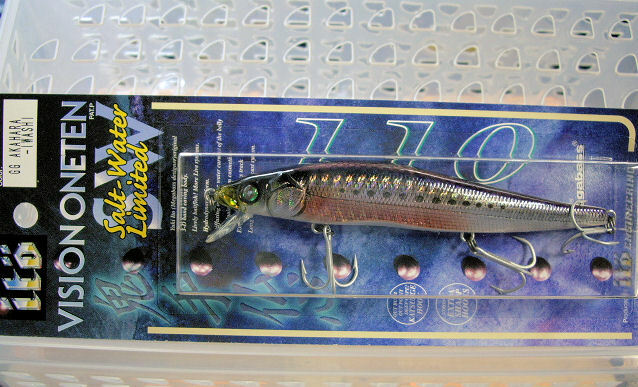 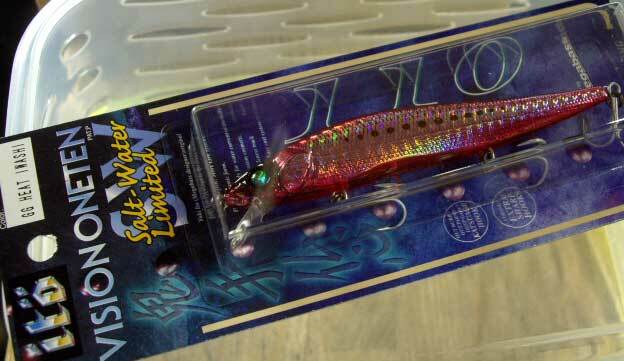 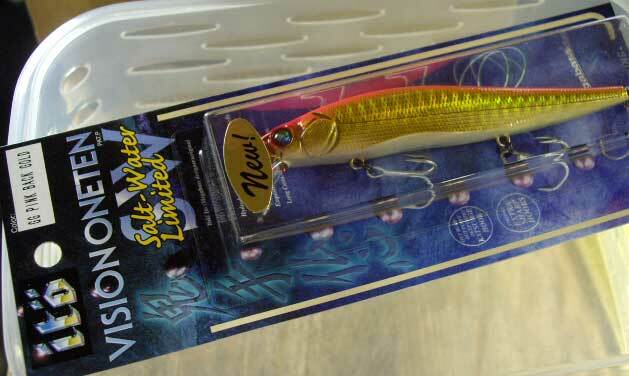 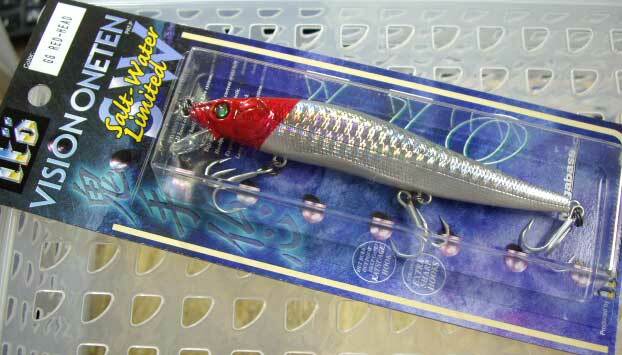 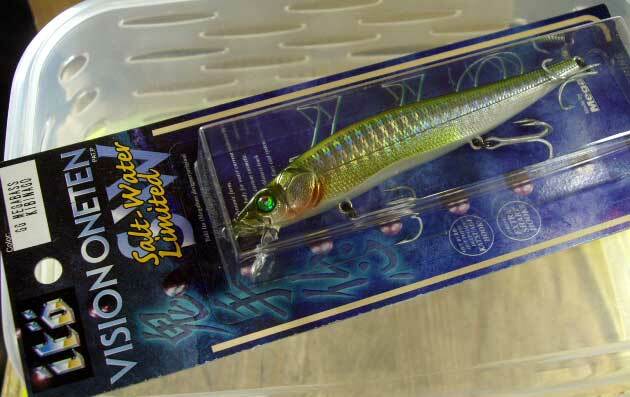 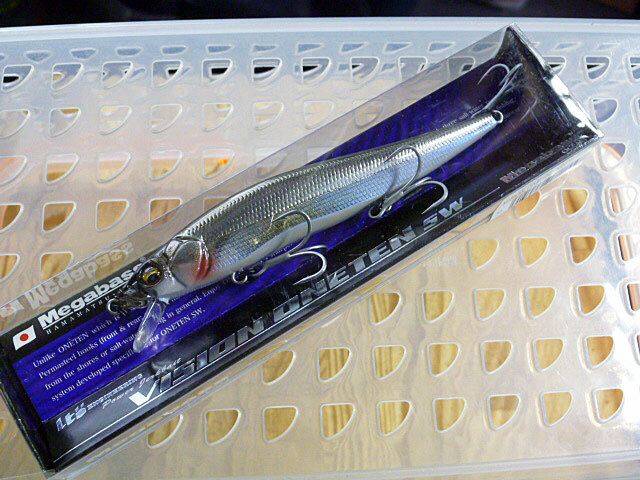 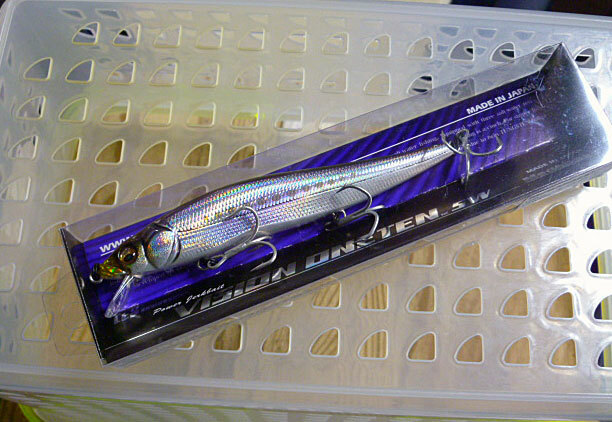 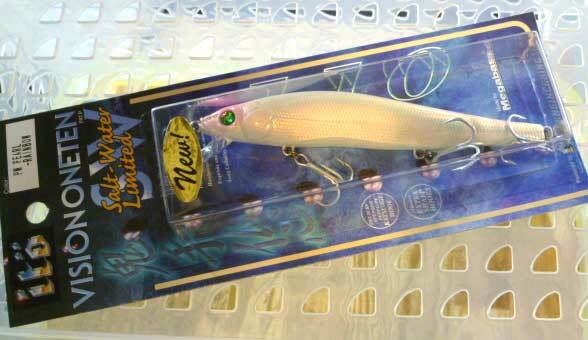 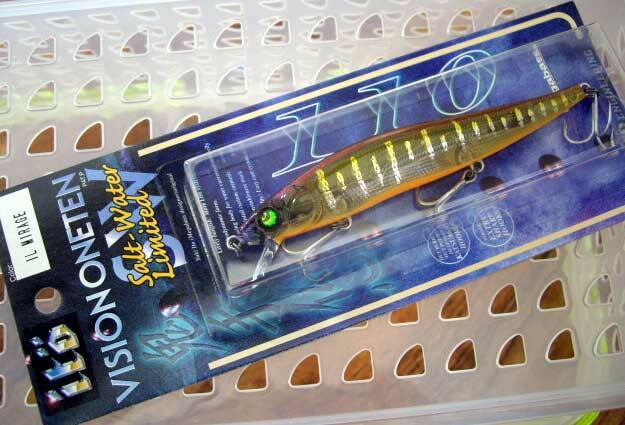 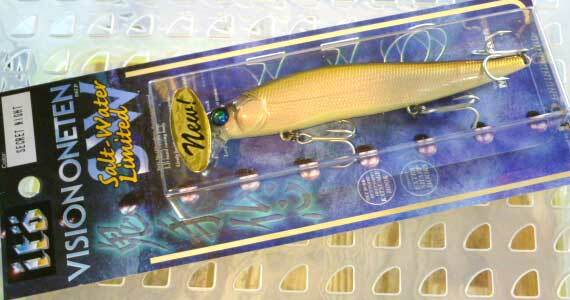 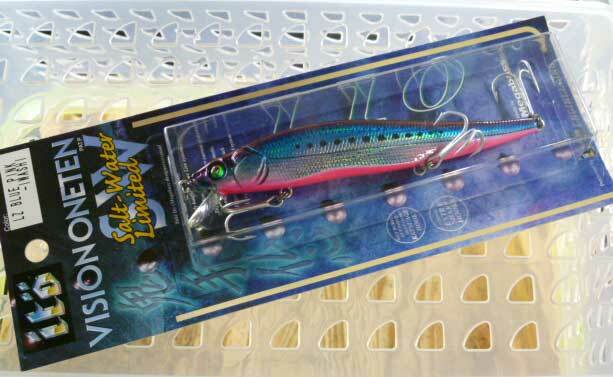 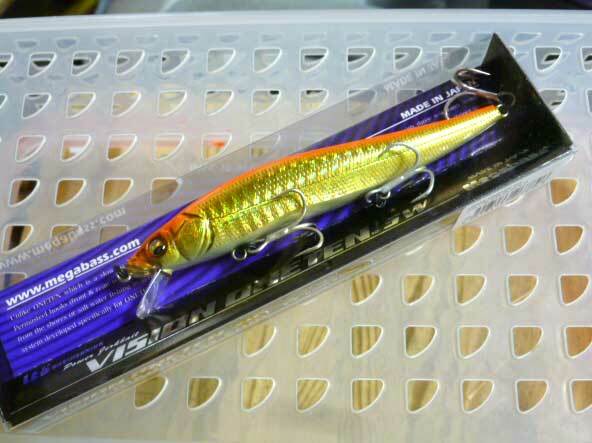 Unlike ONETEN which is a slow-floating jerking minnow, ONE-TEN SW is the model designed for salt-water fishing. 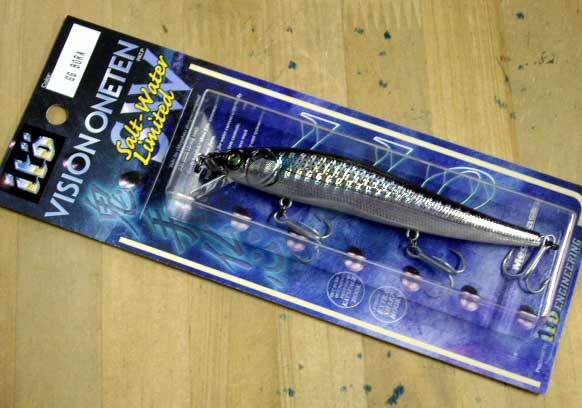 Equipped with three salt-water resistant Permasteel hooks (front & rear: regular, middle: KATSUAGE) and the TUNGSTEN composite balancers, ultra long & accurate casting is a cinch. 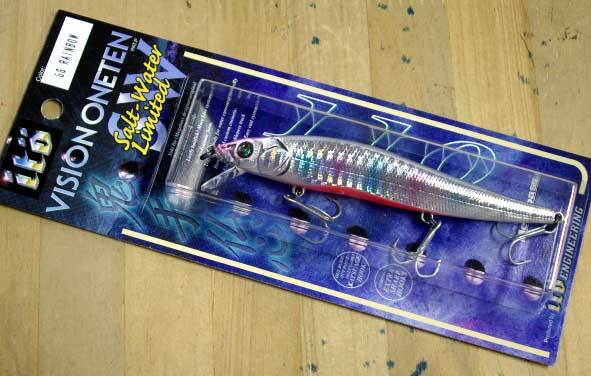 For striper fishing from the shores or salt-water fishing in general, Enjoy ONE-TEN SW's sharper and more immediate response to your rod action due to twin TUNGSTEN balancer system developed specifically for ONETEN SW.